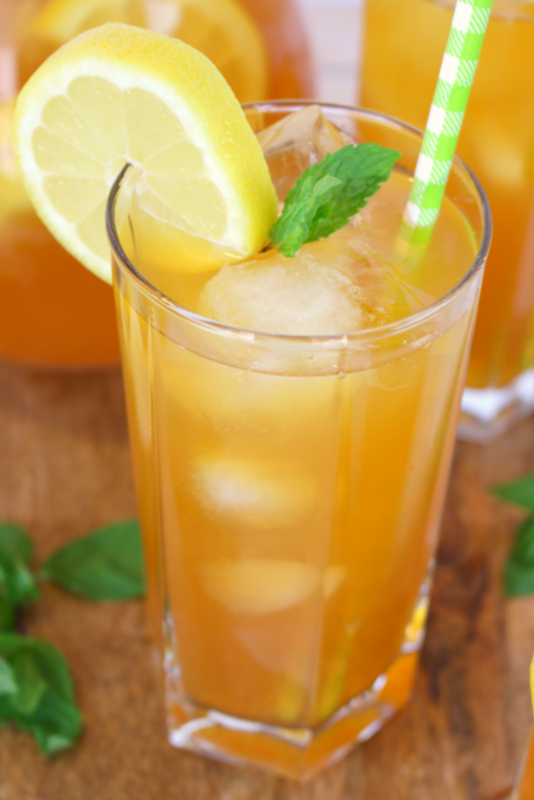 Iced tea and lemonade come together for one refreshing, delicious drink! 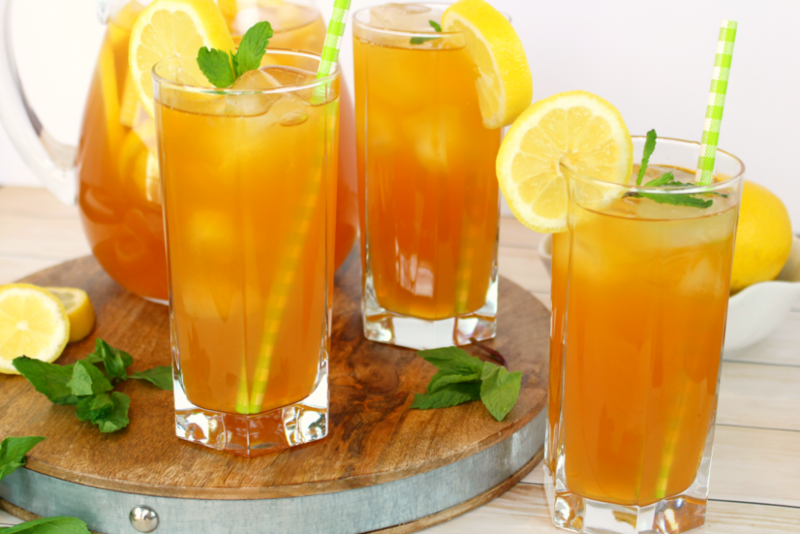 Named after the legendary golfer, Arnold Palmer, this classic summertime beverage is perfect for sipping after a round of golf, or anytime you want to cool off on a hot day! 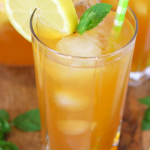 Whatever you might call it – a “half and half” or an “Arnold Palmer”, this drink is amazing, especially if you love a sweet iced tea with lots of lemon freshness! 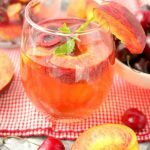 Wonderful on a hot day, or whenever you’re looking to quench your thirst, this drink is great to have on hand all summer long! 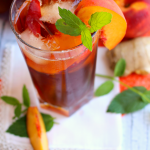 Forget the powdered mix or canned stuff, making a pitcher of Arnold Palmer is simple with just a few fresh ingredients. 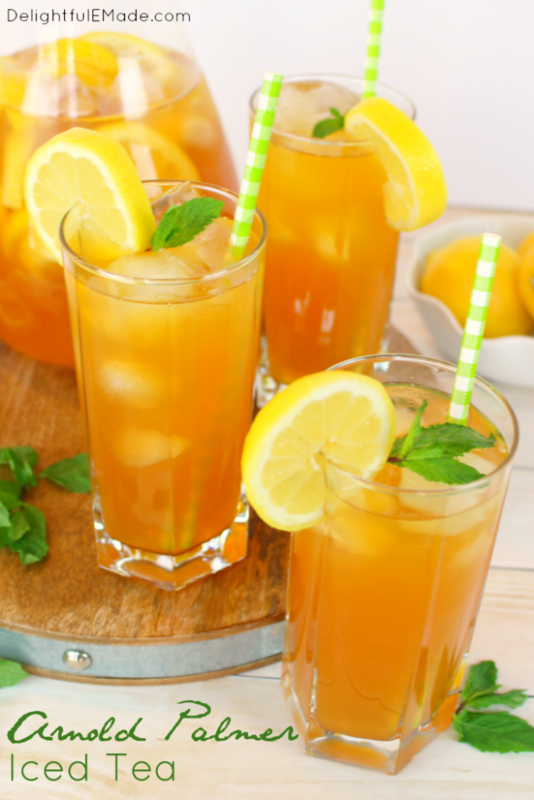 For the lemonade portion, you’ll need lemon juice (fresh or bottled), sugar and water. For the tea portion, all you need is a few tea bags, and water. 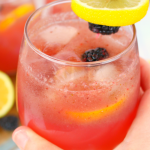 Add fresh lemon slices and some sprigs of mint for a gorgeous summertime drink! In a microwave safe glass measuring cup or bowl, add 2 c. of water with 3-4 black tea bags. Microwave for 2 minutes. Remove from microwave and let tea steep for about 5-10 minutes. 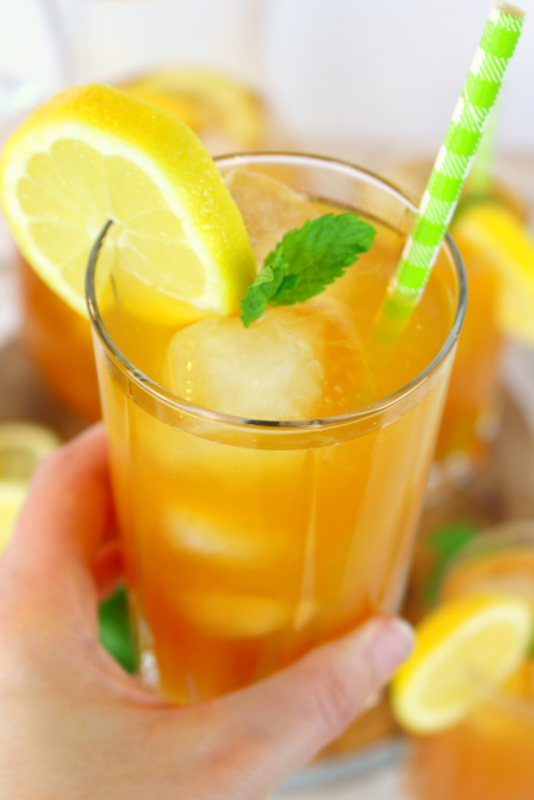 Remove tea bags, pour tea concentrate into a pitcher and add 2 more cups of cold water. Stir. In a separate container, like a large glass measuring cup, combine lemon juice, sugar and 3 1/4 c. cold water. Stir to dilute sugar. Pour into pitcher with ice tea mixture and stir to combine. Chill. When ready to serve, pour into glasses over ice. Keep refrigerated. For a sweeter tea, increase sugar to 3/4 cup. 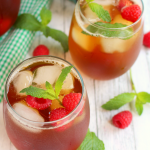 For a more tart, less sweet tea, reduce sugar to 1/3 - 1/4 cup of sugar. Adjust to your taste preference. For a spiked version: Add either Sweet Tea flavored vodka or Bourbon (one 1 oz. shot of either), per glass. 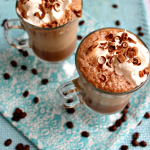 Such a perfect warm weather drink! This looks so delicious! 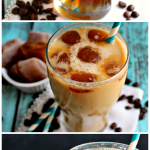 I've never actually made this classic beverage! I so have to try it! Thanks for sharing! AP! My husband's favorite! Thanks for sharing! SO refreshing on a hot summer's day. Thanks for sharing on Creative K Kids Tasty Tuesdays. Looks simple and simply delicious. Thanks for sharing on the "What's for Dinner" link up! 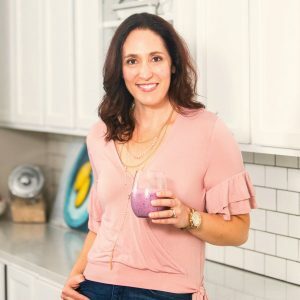 This would be a yummy spring / summer cocktail to try. Thanks for sharing at the #InspirationSpotlight party. Pinned & shared. Such a fun story as to how it got it's name! Thank you for sharing with us at Funtastic Friday!